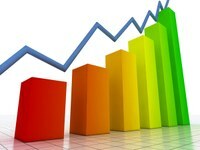 Good news for our EAC team! 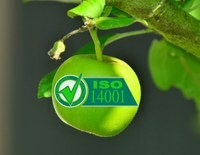 Let's congratulate our plant in China, not only for the beginning of the year, but also because the entry into the new year has been in a very special way: by obtaining the ISO 14001 Environmental Management System standard. 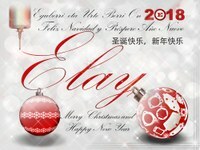 On behalf of the whole ELAY Group. During this month of February, the team formed by Ángel Cabrera and Adrián Almanza, who belong to the Industrialization/Tooling Department of CELAY, has visited the EAC plant in China. The ELAY Group's effort to be close to the customer, even by opening a production plant in China in 2013, is already giving its results. This year, Elay Group has participated for the first time as an exhibitor in the 17th Shanghai International Automobile Industry Exhibition (April 21-28, 2017). At the end of 2016 Elay formalized the purchase of two new fine blanking presses for the plant of Antzuola. On 29 July 2016, the General Manager of Elay Group, Ing. 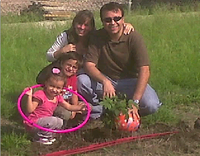 Santiago Agirregoikoa, celebrated with the workers of our plant in Mexico, the act of handover symbolic between Ing. 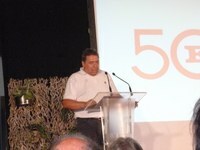 Xabier Errasti Arambarri, who was the Director of the plant until then, and who gave the “makila” to Ing. Tomas Lopez Elorduy. Last June we started the new strategic reflection for Elay Group. This process, which will last until November, aims to define the new Strategic Plan 2017-2021, which will mark the way forward for Elay during the next 5 years. Undoubtedly, one of the sectors that is experiencing rapid growth in Mexico is the automotive sector: more and more companies make the decision to install in the center of the country. 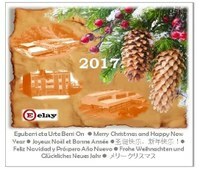 Elay is 50 years old by now and, as it has done throughout the history, keeps on improving. In line with this evolution, in Elay we have developed a particular Lean vision, a view consistent with our principles, which is completely rooted. The Chinese branch of ELAY Group transforms its facilities, building a few new offices next to the manufacturing center and improving its lay-out. Celay is a company aware that the most important is its people and, thereby, promoting the development of the human talent is a business decision, being a sustainable long-term process, consistent with the commitment and corporate values, generating added value to the activity that we play. At the end of 2015, Elay China received the audit of pursuit and his corresponding pass of the Management System based on the regulation ISO TS. Created in 1965, in Antzuola's plant we are of celebration: different activities have been programmed for this year. 2nd edition of “Expo Ensamble"
ELAY came to China in 2013, establishing in Jiangsu's province his production plant of Asia, the third one of the Group in the world. EAC continues meeting the expectations: this time EAC has been chosen for two new projects.